You pay only the actual cost for mailing USPS Priority – all handling and all mailing material (tape/label, etc.) at no charge. You provide the order information electronically (Word, Excel, in-text email, etc. ), we’ll pack the individual orders into the appropriate packaging that cost the least Priority postage safely possible, then take them to the post office. Any books above this are then shipped to you (or a single address of your choice). Each order’s tracking will be emailed to you or the end customer at no additional charge and includes up to $50.00 insurance, per package. Other shipping methods and services vary – may include additional mailing material charges. Send your manuscript, mailing information, and deposit to arrive at the publisher by 11-24-2014. 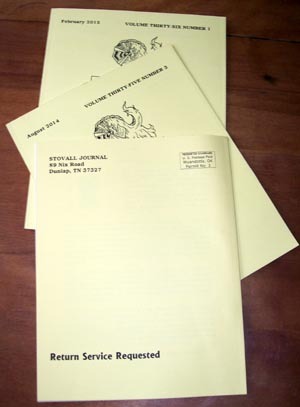 Include the code “Blog listed special” in your letter of instruction. It may seem like USPS is forever changing their rates. However, they are bound by US law not to increase more than consumer inflation (average across increases) without special permission. This means that rather than getting infrequent large prices increases, there seems to be annual moderate ones instead. Other carriers are not bound by this law. This makes choosing USPS a more stable long range sales cost/fee. 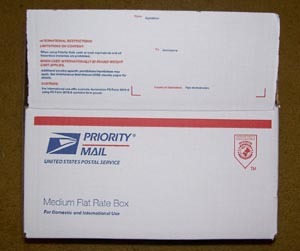 Online USPS priority clients for thin softbound books should consider using USPS flat rate bubble padded envelopes. This saves you further on packaging. This option is only available to online customers at this time.